Last week-end’s trip to Montmartre, where the highest concentration of fabric shops is, did not end up well :o) The original aim was to find a dark blue silk or whatever fine fabric for the next dress, but that somehow evaporated when I saw the sales at Le Bonheur des dames. I came home with six pieces, ranging from 0.8m to 3m, mostly wool and cotton. Oh well, next time, hopefully ..., for the moment I only have to work on my muslin for that special dress. But getting back to the topic… I wanted a quick project. A wool pencil skirt, suitable for the strange winter/spring weather going on right now, just like the model 113 from 04/2014. I omitted the pockets, as I think they were on a very odd place on the original model and honestly, do not like people putting hands in their skirts/dresses. I also shortened the upper part of the skirt, as the pattern suggested 10cm above the waist for all sizes. Just to say, that 10cm above the waist are my breasts. The wool fabric I bought in coupon (for 4.50 euros) was little bit stretchy, but very pleasant to work with. A nice surprise was also the length of the pattern; for once, I did not have to shorten it. 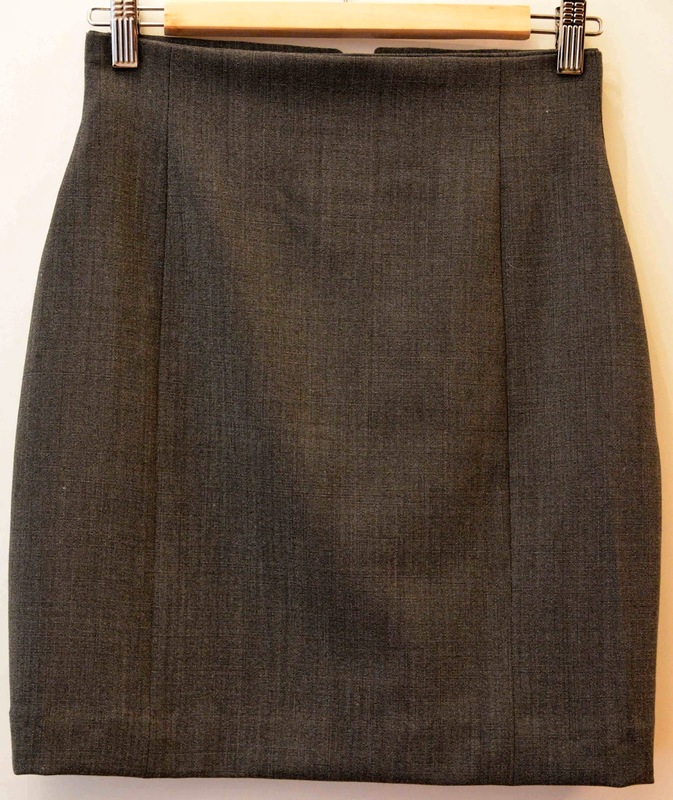 The skirt is fully lined, as usual, with an invisible zip. 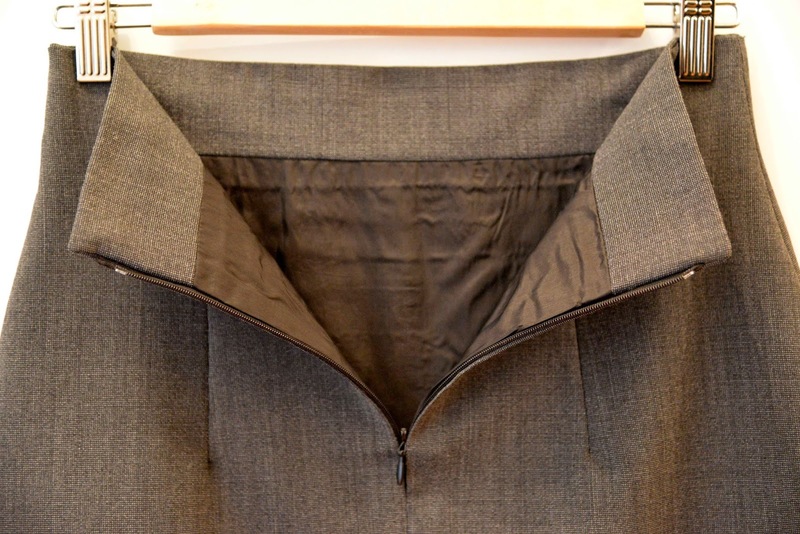 It has a very high waist, which I managed to adapt to my size (note to myself: take 34 directly, even for the waist, Burda seems to count with too much ease), some further alterations were needed in the middle of the process. Here is the final result, now I only need glasses to complete my secretary look! týýýjo. perfektní. já zírám. budeš si otevírat módní salon?! v paříži !! !